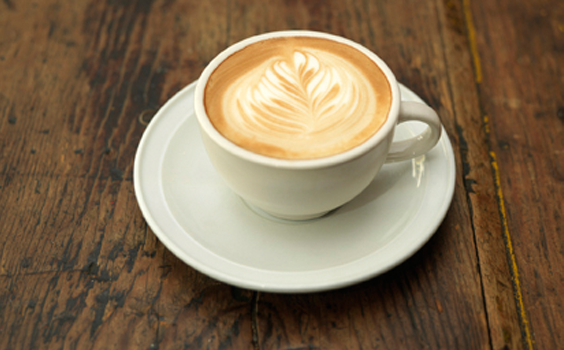 With complimentary refreshments, espresso drinks, tea and bottled water, rest assured that you will enjoy your time spent in our care. At Circle C Dental you and your family will relax in our treatment rooms, which feature cable enabled HD TVs, blankets, pillows and scented towels. 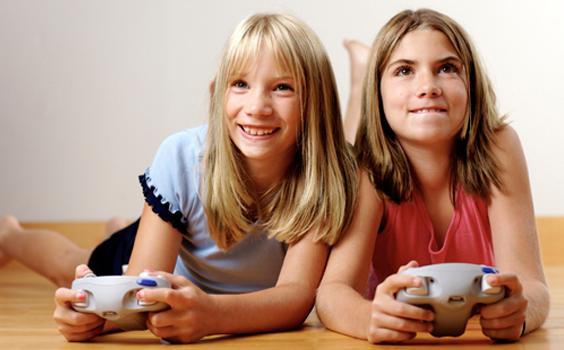 FOR THE YOUNG OR JUST THE YOUNG AT HEART... At Circle C Dental, you and your family will enjoy our kid's play area which is contains the latest video games, toys and movies. At Circle C Dental we invite you to enjoy staying connected. For this reason our office provides internet enabled workstations in our reception area so you may check your e-mail or browse the web while you wait. Too busy for two dental visits for a crown? South Austin Dental Clinic offers same day crowns with no temporaries needed. CEREC is absolutely the fastest way to receive crowns and veneers. Most adults are unhappy with the appearance of their smiles. Six Month Smiles utilizes clear braces to gently straighten teeth in an average time of only six months. Using the Periolase laser with the LANAP protocol, we can now stimulate your body to naturally grow new bone and gums lost due to gum disease. Circle C Dental offers typical specialist procedures here including: wisdom teeth with IV sedation, gum grafting and dental implant placement and restoration. In the past, treatment for sleep apnea has been limited to painful, irreversible surgery and obtrusive CPAP machines. We now offer a conservative, non-invasive treatment for your sleep apnea. Circle C Dental has a teeth-whitening option that will work for you. 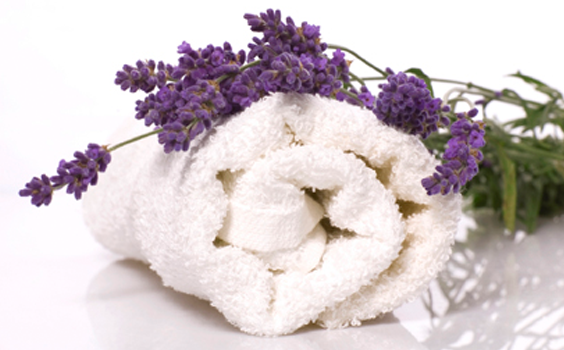 We offer both in-office extreme bleaching and custom tray take home options. Both methods are safe and easy. Circle C Dentistry offers safe, effective, and comfortable sedation treatments to reduce fear and anxiety about visiting the dentist. We recognize that everyone has a different financial situation and that’s why we work hard to find a solution so that you can obtain the dental care that you and your family deserve. Hi, my name is Dr. Tuan Pham and I would like to welcome you to our South Austin Dentist practice. My highest priority is providing the very best Austin dental care, but at the same time, creating a pleasant and relaxing dental experience. 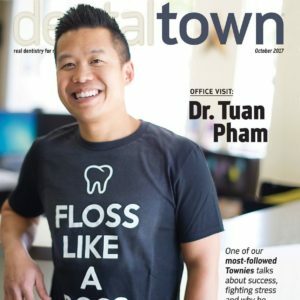 I am very proud to say that I was on the cover of Dental Town Magazine and was recently selected as one of the Top 40 Dentists Under 40. I was also recently on the cover of Circle C’s “Neighbors of Circle C” Magazine. Click here to read more about those cover articles and here to learn more about me! Also, I am a teacher of many dentists (and have written nerdy dental books that only dentists would read) and host an annual dental continuing education conference in Austin every year! Yes, I love being a dentist that much. I live in Circle C Ranch and my office has been here over 10 years and I am the first dentist in Circle C. You or your kids may also know my wife as she is the school nurse at Clayton Elementary School. I invite you to take a virtual tour (check out our 10 year remodel!!) of our office located in South Austin and to check out some of the awesome dental videos I’ve made here. I’ve worked hard to find a South Austin dental team that is warm, friendly and highly skilled and I hope that you will also realize how wonderful they are. We are a family-oriented neighborhood South Austin dental practice focused on progressive preventive care. Our priorities are conservative, predictable and lasting care. Circle C Dental welcomes everyone and look forward to meeting you and your family and provide best Austin Dental Care. We know you have many choices and we want to be your South Austin Dentist. I have taken time to answer many common questions about dentistry, so please take a look here. Please read our positive Google reviews and Rate A Dentist or check out our Facebook page! Please feel free to add us to your Google+ circle or become our fan on Facebook. Check out our newest Circle C Super Heroes video and introduction video! !